The season of films below is free to all reel people members. Doors open at 7pm. Enjoy a drink or two at the bar before the film which will be introduced at 7.45pm. The (F) rating below highlights films which either had a senior figure in the production who is female - a director or screen writer - or which have strongly female leads or womens' issues. 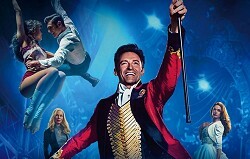 'The Greatest Showman' is one of the best films in 2017. The music will have you tapping your feet. The choreography, the costumes and the performances are top notch with Hugh Jackman, who plays P.T. Barnum, surprising everyone with his song and dance prowess. When 77 year old Daya decides that his end is near and wishes to attain salvation in the holy city of Varanasi, his son Rajvi has to juggle these demands with his responsibilities back home. A film of great tenderness and wry humour. 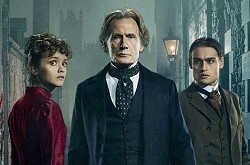 A richly atmospheric murder mystery set in late Victorian London with Bill Nighy (on top form) as Inspector John Kildare charged with the seemingly impossible task of catching a serial killer who is terrorising the city that's in love with the famous music hall of impresario, Dan Leno. 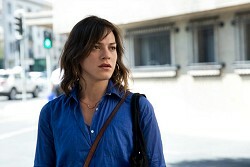 Marina is devastated when her much older lover dies suddenly. She conducts herself with dignity when she is faced with the prejudice of his family and society in general. An uncompromising film and winner of the 2018 Oscar for best Foreign Language Film. When "Lady" Sandra Abbott (Imelda Staunton) discovers that her husband of 40 years is having an affair with her best friend, she seeks refuge with her estranged, older sister Bif (Celia Imrey). Also featuring Timothy Spall and Joanna Lumley this British film has been described as 'a frisky charmer of a movie'. Featuring a stunning score from Carter Burwell, this is an exquisite drama in which two deaf children, 50 years apart, seek absent parents. Both escape to New York where their fates entwine. A moving documentary that covers 6 years of Nepal's frst circus set up by survivors of child trafficking. Having been sold by their families 14 years earlier, the returned children struggle to face their families again and establish a frowned upon entertainment. 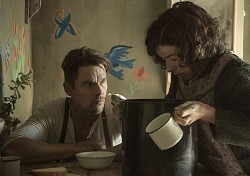 Set in Nova Scotia in the 1930's this is the true story of Canadian Folk Artist, Maud Lewis (a superb performance by British actress, Sally Hawkins). Written off by everyone, Maudie had a great strength of character and just loved to paint. A beautiful and poignant film. Loving Vincent is an animation imagining the last month of Vincent Van Gogh's life. Using the artist's techniques and hand painted by a team of 150 artists, each of its 65,000 frames is a pastiche of a Van Gogh canvas. A swirling, pulsating and scintillating visual treat.